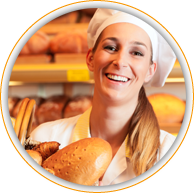 Bakery Directory - Bakery Quest provides a list of bakeries across the United States. Magnatech Bakery Equipment - Magnatech are specialists in ambiant cooling of bakery products.We have a range of coolers available to work with rack or tunnel ovens. Polagra-Food, Poznan, Polska - International trade fair for the food industry. Ruths Brownie Kitchen - Ruths Brownies are handcrafted daily in small batches from the world finest chocolates and other natural ingredients. Rotary Rack - Dolar’s quality assurance and design concept is comparable to the best in the Indian industry. Copyright © 2019 BAKEserv.com. All rights reserved.